After making it to the Gauteng Futsal League playoffs for the first time since 2016, the Wits men’s team came third overall after playing two games on Saturday, April 7, at Wits University. Leon Shangase, Wits Futsal coach, who started coaching the team in August last year and is also a player, said that he felt the team was not prepared for their first match against Joburg City Futsal where they lost 2-6. He continued to explain how this changed in the second game against Vaal Blizzards. “In the second game we won 11-0, we showed the true form of the Wits Futsal team. It is just a shame that we did not win the whole thing,” he said. BA Honours in Linguistics student, Neo Sehlahla, who is a defender in the team, told Wits Vuvuzela that he was proud of the team. “The team talks before our second game were vital. In our second game everybody came back more hungry for a win and credit must be given to the goalkeeper. We did well but we can do better if we focus more,” he said. Captain of the team, Thamsanqa Martins, who is a second year Bible Studies to Minister student, said making it to the playoffs was an amazing achievement for the team. “Our goal was to win the playoffs since we have played these teams in the league before but it didn’t go as planned. The guys showed a fighting spirit and that is why we did great in the second game,” he said. 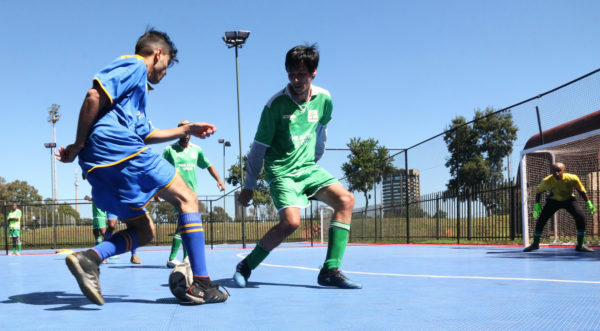 The playoffs consisted of the top four teams from the Gauteng league, which were, Wits Futsal, Vaal Professionals, Joburg City Futsal and Vaal Blizzards. The tournament was won by Joburg City Futsal team who received R4 000 as a result of their 7-1 win against Vaal Professionals in the final.